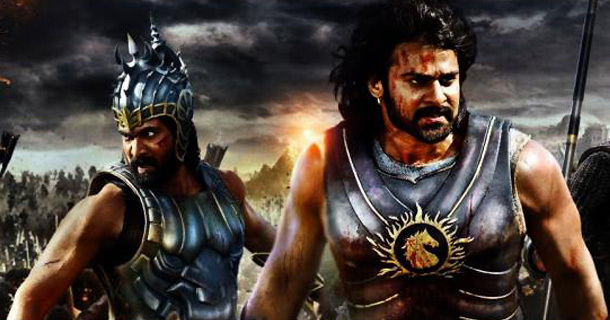 In Bahubali 2, Bahubali has to battle a big army with limited resources, so he thinks a lot and then comes out with a unique solution to defeat a big army by using combination of fire, animals and water. Though Bahubali has limited resources, he is creative enough to take his limited resources as an opportunity rather than an excuse and thinks of out of box ideas to succeed. Similarly, in poker, it is not necessary to be the chip lead at the table. You can still win the game with limited chips if you are innovative enough and can think of some brilliant ideas to trap and defeat your opponents at the table. Innovation and out of the box thinking are the best ways to compete and beat your opponents. Kalakeya, the opponent of Mahishmati is extremely cruel. He is known for his big army, which is four times bigger in size than Mahishmati’s. The leaders from Mahishmati are well-aware of this, but instead of becoming fearful, they decide to stand bold and brave against their enemy. They devote some time to read and understand their opponents by having a close watch on their opponent’s strengths, weaknesses, actions and plans and finally plan things to defeat Kalakeya’s army. Similarly, in poker, reading your opponents is the key to success. As a poker player, you have to read the actions of your opponents at the table and plan right actions ahead to eventually turn the game your way. In Bahubali 2, Devasena never loses hope and patience, though she does not even know if her son is alive or not, but she still waits for him for 25 years despite all odds and troubles coming her way. Finally, one moment after 25 years, she realizes that her hope becoming true is worth all the wait and patience. Devasena keeps collecting the wooden sticks to kill Bhallaldeva someday despite all troubles. Interestingly, her efforts never end until she achieves what she wants. In poker also, patience & wait play a crucial role. You should have patience for the right cards and opportunities to succeed in poker. Aggression is the key in certain situations. Yeah, there are certainly times when you cannot do without aggression. In the movie, Bahubali infuses aggression in his army and asks his soldiers to be fearless to fight and win against the opponents. The same applies in poker as well. There are certain points in the skill game of poker when you have to be aggressive and fearless, especially when you know that you have winning cards. Yes, if you have the winning cards and the situation demands aggression, you should play aggressively by raising and re-raising, as it can help to win big in poker. In Bahubali 2, Bhallaldeva is too greedy to achieve the throne. He feels jealous with Bahubali who not only becomes the king, but also wins the love of his people. Also, Bahubali is loved and liked by the beautiful princess Devsena. The anger and enmity of Bhallaldeva fuels more when he marries Devsena. In the same way, in poker, don’t be too greedy to steal or win a big pot unless you have winning cards. Don’t be jealous just because your opponents are winning big pots and you are not winning the one. Rather, have patience and wait for the right opportunities to win big hands. it’s really awesome learning that poker player can learn from latest most popular movie in India Bahubali 2.Thanks for nice article ! !